The video games list has a sad group of repeat entries, Metal Gear Solid: The Twin Snakes being the most quoted remake on the list. 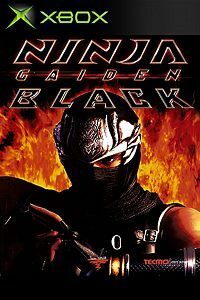 Ninja Gaiden Black is another – a remake of the original Ninja Gaiden 3D action/adventure that we played a long time ago. More notably, this was released about a year after the original game and it mostly has an easy difficulty combined with a higher difficulty on the other difficultty settings. Right now, that feels a tad much already. It’s been six and a half year since I played the original Ninja Gaiden and it probably shows in how I enjoyed the game. I recognised the route, including the tough first boss fight, but not enough to notice the differences between the two. The game was still as good and I enjoyed fighting my way through. I played on the medium difficulty – it seemed wrong to go with the easy one – and yeah, it was difficult, possibly more than the first, but it felt doable. I got some hints for the first boss, but as it’s known as (one of) the hardest first bosses, I was glad how it was possibly to beat it. Once I knew the tricks, it was straightforward enough to go ahead. The challenge is enjoyable, rather than frustrating, which is a high bar to clear for me. There are a few places where the camera gets in the way as well. There’s no free look – the camera follows you, sometimes changing between rooms, and it got a bit frustrating. I don’t think it ever got completely in my way, but it could have been a bit clearer. As far as the remake aspects go, the game looks fairly similar to the first, and there seem to have been few upgrades. The remake really focuses on some gameplay enhancements and such. It’s fine and the game looks nice, playing fluidly, buit mostly suitable for its era. As the game is a decent rebalancing of the first game, this is probably the better game to play. At the same time, having both on the list feels redundant, as this game doesn’t move that far beyond the original – even less, it seems, than with most remakes. It’s an odd change, but if you have a choice, this is the version to go for.